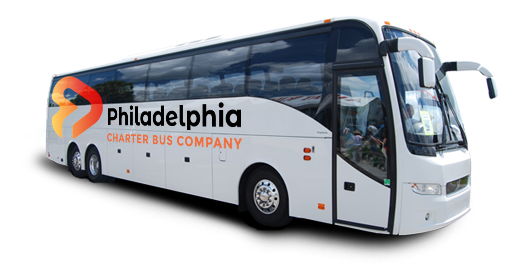 No matter what brings you to Philadelphia, count on Philadelphia Charter Bus Company to organize the perfect transportation for your traveling group. We book a variety of coach bus options that allow us to cater to sports teams, corporate travelers, wedding planners, school groups, and more both inside and outside of city limits. 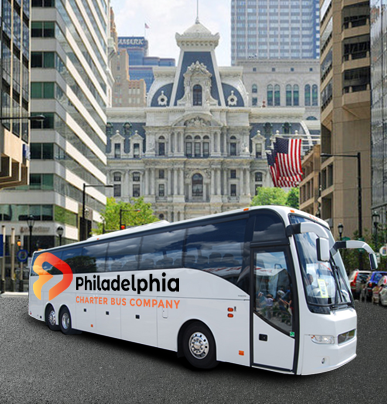 Philadelphia Charter Bus Company is committed to simplifying all group travel into, out of, and around Philly. We service a wide variety of groups, helping travelers of all types enjoy a safe and comfortable trip through the City of Brotherly Love. We help wedding planners organize guest transportation, assist corporate travelers in putting together large events, transport sports teams to away games and off-site practices, ensure safe rides to students, and provide travel accommodations to those traveling for business or for personal vacations. Our access to a variety of bus types allows us to accommodate any group. Give us a call today to learn more about how we can help you on your next group trip! Whether you’re a fan, an amateur, or a professional, Philadelphia Charter Bus Company has everything you need to bring home a win with your team. Ample storage space, plenty of legroom, and premium add-on features make for a comfortable ride for players and fans alike. 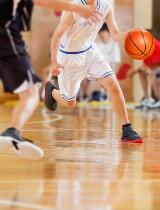 Shuttle guests between venues with ease with a private minibus rental. On your bus, guests can enjoy music and comfortable seating while you relax knowing that everyone will arrive right on time. Your driver will ensure that all guests return home safely after a night of partying, too! 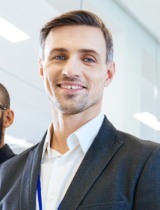 Bring in employees and clients from out of town and shuttle event attendees with ease with a personal bus rental at your next business event. We’ll provide you with a sleek, modern vehicle that’s sure to leave a lasting impression at your next convention, seminar, offsite meeting, or other corporate event. Tour one of the nation’s most historic cities with a comfortable and safe charter bus rental. You and your students will be in safe hands as your driver navigates you to the city’s top educational stops. Plus, students will remain entertained with on-board WiFi, power outlets, and more. 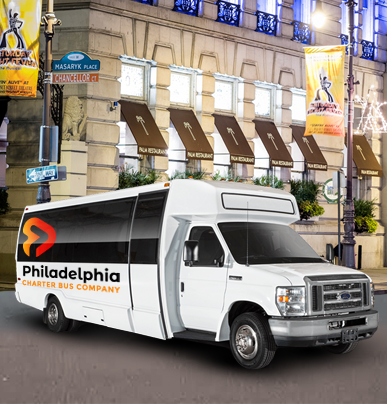 Whether you’re part of a startup or head of a Fortune 500 company, we’ve got exactly what you need to schedule the perfect Philadelphia transportation. No matter your needs, you can count on us to provide the quickest, most efficient, and most affordable bus rentals in the city. Full-sized charter buses are spacious, comfortable, and offer plenty of amenities to make long-distance trips comfortable. With plenty of storage space both under the bus and in overhead bins, you can safely stow away luggage or equipment for a clean and clutter-free ride. Compact minibuses are available in 18-, 20-, and 25-passenger models. While they’re smaller than full-size charter buses, minibuses offer many of the same amenities in a more compact and manageable size. Book one for a day trip or for a shuttle service at your next big event.